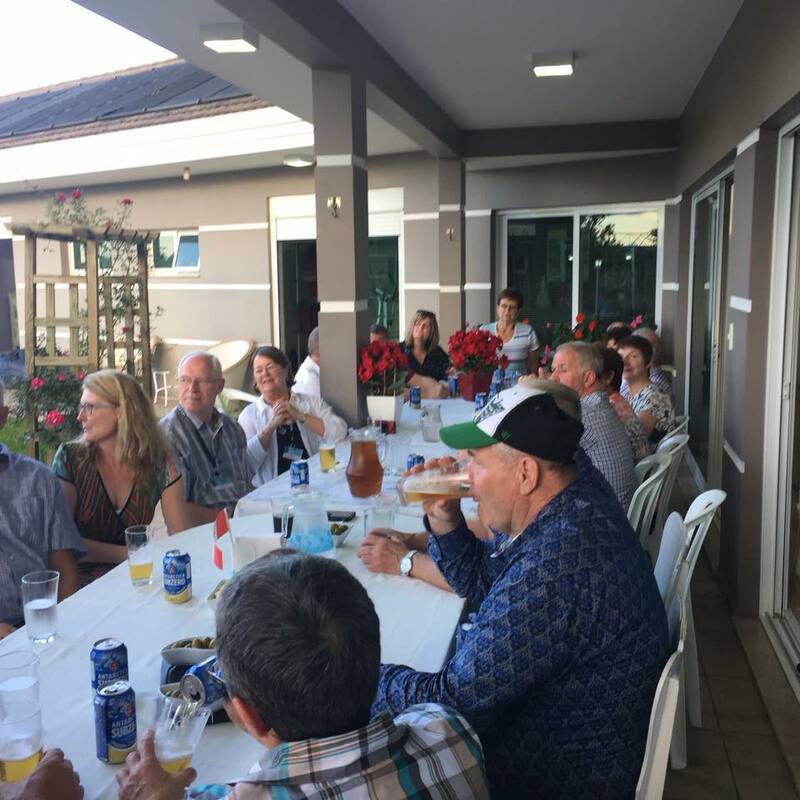 You will want to join Garth from Select Holidays on this agricultural, cultural and rural tour of Brazil, Chile and Argentina. 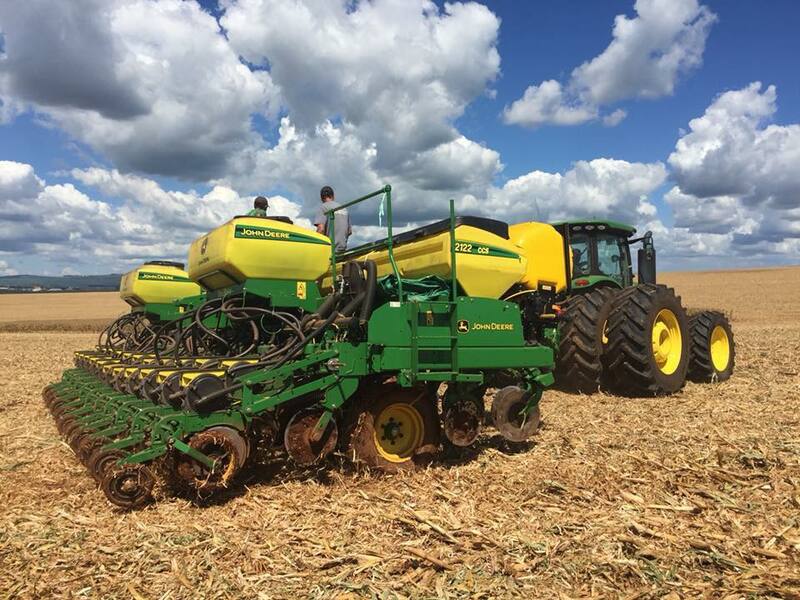 In the farming areas of Ponto Grossa, Brazil where they grow an abundance of soy beans, corn, wheat and barley on the large cooperative farms plus other farming practices. Then it is on to visit Rio de Janeiro with its white sandy beaches, surrounding mountains, and home of the amazing Christ the Redeemer statue and Sugar Loaf Mountain. Take in the culture at this Brazilian city with its Portuguese heritage. In Chile, enjoy your experience of the wineries in the area around Santiago and see how the grapes are cultivated, picked, and the wine is produced, which is one of Chile’s biggest agriculture exports. As you cross over to Argentina you will come upon the farm lands of Patagonia that has thousands of hectares of land dedicated to cattle farming, sheep farming and forestry. You will visit the largest inland grain handling system, where farmers have their grain hauled to for export. You will visit a farm cattle auction market called Liniers Cattle Market, where they auction and sell 10,000-13,000 farm cattle per day 5 times a week. 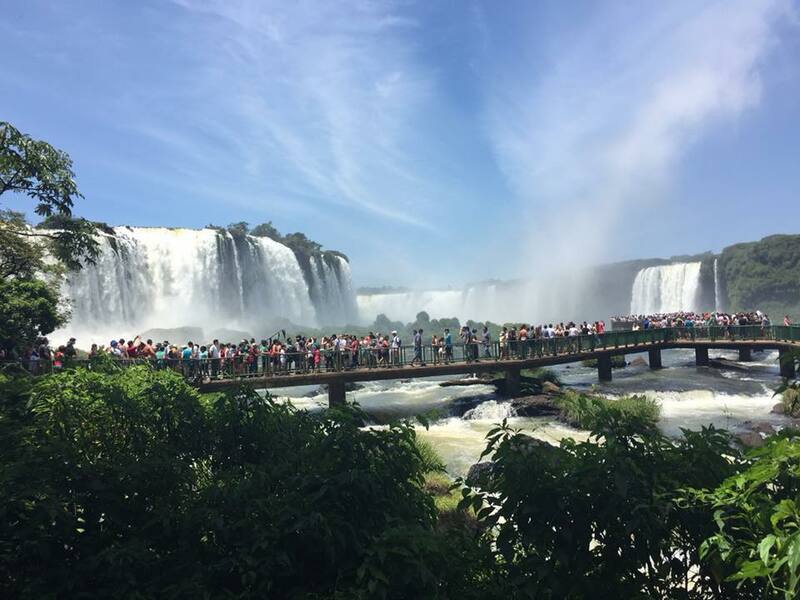 Fly up to Iguacu falls, over thousands of hectares of farm land to enjoy the beauty of the world’s widest water falls. You will return home with the great memories of experiencing the farming in these countries as well the deep culture. All travelers require a passport that is valid for 6 months after your return to North America. Argentina: Persons holding a Canadian Passport to not require a Reciprocity Fee. 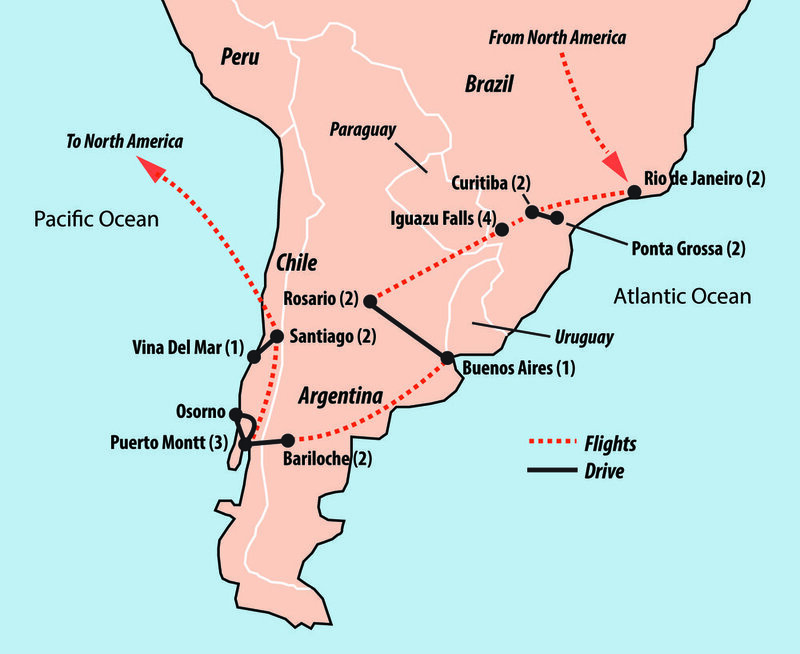 Chile: All tourists are issued a tourist card—valid for a maximum period of up to 90 days—upon arrival. This information could change at any time.....Please check to make sure you have the right paperwork for traveling. Check with your local travel clinic for any vaccinations that may be required for the countries you will be visiting. Today, visit a local and state run market, then proceed to Paranagua’s Port, the most important port in Brazil, especially for the shipment of soy beans and poultry. Visit the harbour via a boat cruise then return to Curitiba for the night. NOTE: This will be a late evening.